I got started in writing due to Janet Dailey. She was my hero and, to a large degree, my mentor. I can only dream of having the longevity and talent needed to drive my 3 million romance and women’s fiction book sales to even remotely come close to her 100 million plus in sales. I don’t think she is given enough credit for all she did to completely change the publishing industry. Janet was known for adhering to the conventions of romance fiction — one man, one woman, happy ending. But her books broke the mold because they featured independent women who weren’t simpering virgins waiting for their rich prince to sweep them off their feet, plus they were set in America rather than in the old-world Europe of traditional romances. Janet was the first American writer published by the Toronto-based Harlequin publishing empire and her new bold changes became the foundation of the industry to this day. Why do I bring this up? All genres go through an evolution not unlike the romance genre did starting in the 1980s. Romance was still always the major plot, but suddenly the characters had real lives with a back story and careers. The romance (i.e. the man) wasn’t all that defined them. My husband and I just attended the #TexasWriter’sLeague annual Editors and Agent’s Conference where we paid super close attention to the speakers, discussions and meetings that surrounded the New Adult genre. I noticed that there is still a lot of confusion about exactly what the NA market is and what the audience wants. The one thing that is clear is that it is evolving, just as romance did, into something more substantial than just bad boy meets good girl, which has been the norm up to now. After the Saturday sessions ended and before we got back to working on book #2 in the SCANDALS New Adult Series, KILLER DATE, we set out to see where the evolution in the genre is today. Surprisingly, we found numerous blogs, surveys and discussions about new adult literature and how it is finally moving from books focused on New Adult angst to solid stories where the protagonists are in their new adult sweet spot, age 19 to 25 who have more than just boy troubles. Why deal with just that one element of the complications of transition that most new adults are going through? Now we’re talking…don’t just saddle the poor new adult characters with relationship baggage. Let them actually deal with college, family, jobs, roommates, housing and finances. Let them struggle, but ultimately survive and succeed in the story. How “new adults”, born between 1989 and 1996, will propel a story set in 2014 forward is what makes a story great and if told and written well, will deliver a best seller. She notes she may have made that last one up, but she was sure it exists somewhere. So my challenge is not how to write a NA novel that is actually an entertaining book where the characters can be brooding or damaged, but there is more going on in their lives than wondering the if boy is going to call. That was my goal when I created the New Adult SCANDALS series. Book #1, DUES DATES, has the usual female and male relationship issue, but her life didn’t start and end with him. They both have baggage, but there’s a real world going on around them that they also have to deal with that adds complications, drama and humor. A new adult’s life is not just about male/female relationships, but about their relationships with everyone around them. Now my challenge is crafting the blurb and discussions about DUE DATES to attract the New Adult reader with the typical relationship of brooding, damaged souls, but then capture them with the complications of being a new adult in a complicated world. That’s why the title of the blog is …and yes it is a total rip off of the intellectual capital of Lauren #Sarner at the #Huffington Post. It’s time for the NA genre to move to the next level that deals with young people that are not just defined by romantic relationships, but have dreams and problems and friends and lots of other things impacting their lives. So I’m proud to be ahead of the curve with of our two training wheel-free NA novels. Killeen Ames has it all…beauty, brains, a college softball scholarship and a rich and handsome boyfriend who has helped to stretch her college funds and fill her social calendar. He is the only boy she ever allowed past second base and now he’s her baby daddy. However, being a father was not in his short-range plans. He graduates, then he splits, leaving Killeen to decide what she wants to do about the pregnancy…and to worry about how she’s going to keep her scholarship. With no marketable skills, no job, no home and medical bills for her and the baby on the horizon, she knows she must move forward. A knock at the door of her boyfriend’s apartment changes the game forever when an attorney gives her the news of an inheritance from an unknown dead relative and another due date looming. Due Dates is the first book in the Scandals New Adult series of romantic suspense. Each book of the series will focus on one of the offspring of Roger Elliott, a famous musician who left them with a legacy they weren’t expecting. Killer Date, the second book in this series will be released in Summer, 2014 and will tell Reno’s story. This entry was posted in Abbi Glines, Abbi Glines, adult, Beautiful Disaster, B&N, B&N, Barnes & Noble, Barnes & Noble, Colleen Hoover, Colleen Hoover, college, Cora Carmack, crime, high school, J.A. Redmerski, Jennifer L. Armentrout, Jessica Park, Jessica Sorensen, Kobo, Molly McAdams, new adult, new adult, suspense, Tammara Webber, Tammara Webber, women, women's fiction, writing a book, writing. 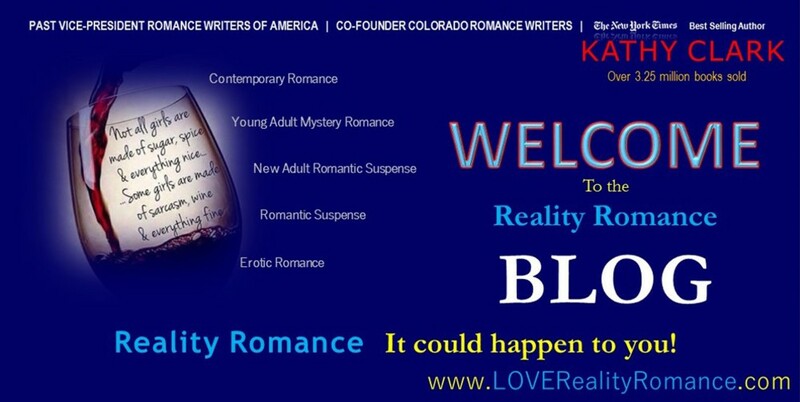 author, young adult, young adult and tagged best seller, category romance, fiction genre, genre, huffington post, janet dailey, Lauren Sarner, new adult, new adult author, new adult mystery, new adult romance, new adult romantic suspense, new york times best seller, romance novels by Kathy Clark, a.k.a. Bob Kat. Bookmark the permalink.